This iron comes with a 3 way auto-off safety function which senses 3 different scenarios in which the iron may have been left switched on accidentally, helping you keep your home safe. For better, more efficient ironing, continuous steam tackles even the most stubborn of creases. Perfect for those extra stubborn creases, high pressure steam is injected into your garments ensuring great results. With the option of 7 toasting levels using the stylish LED controls, you'll be able to enjoy freshly toasted bread just the way you like it. 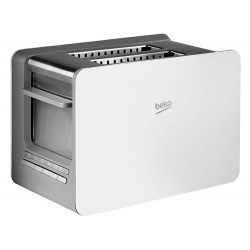 Enjoy freshly toasted bread just the way you like it with the choice of 7 toasting levels using the stylish LED controls. Keep your pastries and croissants warm with this handy warming rack. Cleaning up is made simple and easy thanks to the detachable crumb tray. From crumpets to burger buns and from bagels to thick slices of bread, the extra wide slots help you enjoy a range of toasted bread just the way you like it. Enjoy matching and co-ordinated appliances in your kitchen with the Beko Sense range. 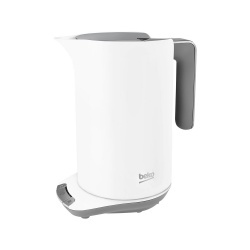 Offering an option of 4 temperature settings and a keep warm function that simmers your water for up to 30 minutes, this kettle helps you enjoy your hot drinks just the way you like them. Whether your little ones want to enjoy a not-too-hot hot chocolate or you need hot water to help your spaghetti's water boil quicker, the temperature control offers 4 levels to give you hot water at exactly the temperature you want. Great for those mornings when you might need a 2nd cup to start your day, you can simmer your water for 30 minutes at exactly the temperature you want. 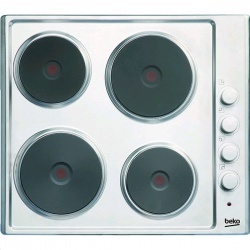 Serve hot drinks to all your family and guests in one go, thanks to the large capacity. Whether you're left or right-handed, this kettle is easy to use thanks to the 360° rotating base. Fill up your kettle with ease thanks to the wide lid which opens with a push of a button. Get your ironing done faster with the Beko SteamXtra Pro 2-in-1 SPM7128P Steam Iron. It makes light work of even the largest ironing pile. That's because it uses Steam Xtra technology, which injects steam at different angles to remove stubborn creases, and protect your clothing. And with vertical steaming, you can steam clothes while they're hanging up. The ceramic soleplate feels smooth to the touch, and even smoother on your clothes to gently glide over any fabrics to make ironing quicker. For the really difficult-to-remove creases found on your clothes, you can use the 200g/min steam shot to easily remove them. Say goodbye to creased clothes for good. Don't worry about limescale destroying your iron in a hurry. An anti-scale feature continuously protects it, and keeps your iron in top condition for longer. With a setting that sets the optimum steam and temperature settings for every fabric, ironing will no longer be a complicated task. Thanks to SteamXtra™ technology even the most stubborn of creases will be ironed out, while ensuring your laundry is protected too. Helping to protect your fabric while ironing out even the most stubborn of creases, the soleplate is designed to inject steam at 'criss-cross' angles deeply into your garments. Perfect for when you're not sure which temperature and steam intensity would give you the best results, the smart mode automatically selects the best settings for your fabrics. From seeing when to descale to knowing when water levels are low, everything is made easier thanks to the digital display. Place the station anywhere you like, even on your ironing board. Its flexible, compact size lets you position it in a spot that suits you the most. 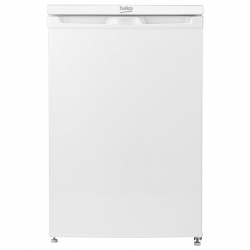 The Beko DRVT71W is a Vented Tumble Dryer and comes in a clean White finish and is a Front Loading model. 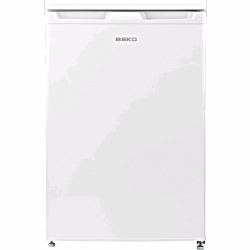 The Beko DRVT71W has a C Energy Rating. This Vented Tumble Dyer will take a 7Kg load (1Kg is roughly the equivalent of four shirts). 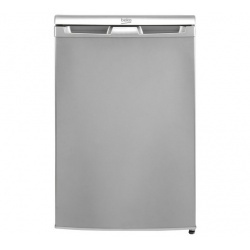 This Vented Tumble Dryer has a Reverse Action and a final Cool Tumble. 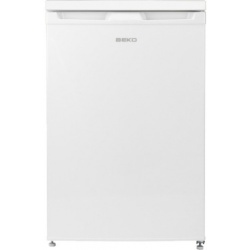 The Beko DRVT71W is an excellent choice for an Average Sized Family and has the added benefit of a 1 Year Beko Warranty giving you complete peace of mind. A great, simple fridge. Thanks to it’s A+ energy rating, the Beko UL584APW will cost just €1.58 a month to run. It doesn’t have loads of complicated functions, but it does everything you’d need a fridge to do. It’s got the Auto defrost feature, so any build up of ice on the back wall will be melted and evaporated away, saving you the task of defrosting. It even has a chrome bottle rack, so you can chill a bottle of wine after a hard day at work, without it rolling out or squashing your fresh food. The adjustable glass shelves will enable you to store all different sizes and shapes of food and the handy wine rack provides storage for your bottles. Offering flexible storage options, you can set up your fridge shelves the way you want them thanks to the adjustable glass shelves. Open your appliance with ease thanks to the sturdy, curved integrated handle. Keeping the fridge's back wall free of ice, this function will automatically defrost your appliance, saving you time and effort. This freezer has integral four star freezer compartment, adjustable glass shelves, and half depth glass shelf so you can store a variety of food and drink of all shapes and sizes. Beko's Four Star Freezer Compartment allows you to freeze fresh food quickly and efficiently. The antibacterial door seal prevents bacteria from forming and entering the fridge. The half depth glass shelf is great for storing tall bottles on the fridge shelf. Large storage space for all your favourite fruit and vegetables. Flexibility to change shelf height, useful when storing tall items. With the curved integrated flush handle, this appliance is easy to open and you can be assured that it will stand the test of time. Convenient feature, if you are restricted on where you can place your appliance. This compact 41.5cm depth model would suit a small apartment dwelling, offering a 6kg capacity and the flexibility of 15 different programmes. You no longer have to wait hours for your daily wash to be ready, with our Daily Quick programme you can wash a full load of laundry in just 28 minutes. Quick wash programmes allow fast cleaning of smaller loads. Ideal for when you're in a hurry, the Xpress Super Short Programme washes a 2 kg load of lightly soiled laundry in just 14 min. 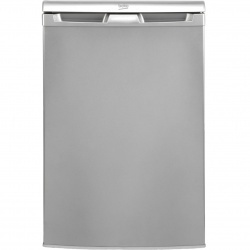 These Beko appliances allow you to wash larger loads and, the small depth allows a flush finish with the kitchen cabinets. You can wash 30 shirts in one wash cycle, saving you even more time and energy. This gentle programme moves clothes lightly through the cycle and uses minimal water to avoid shrinkage - perfect for delicate fabrics such as silk and those with "hand wash" label. Designed to clean the drum and tub, it washes at high temperatures without laundry to prevent bacteria formation that can be caused by washing for long periods of time at low temperatures. Activating the Child Safety Lock prevents the accidental changing of washing programmes by locking the buttons. 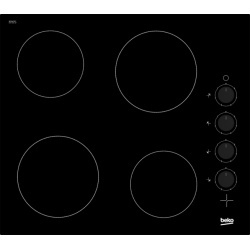 This Beko appliance automatically reduces the water level for half or small loads, saving you money on utility bills.